There it is. 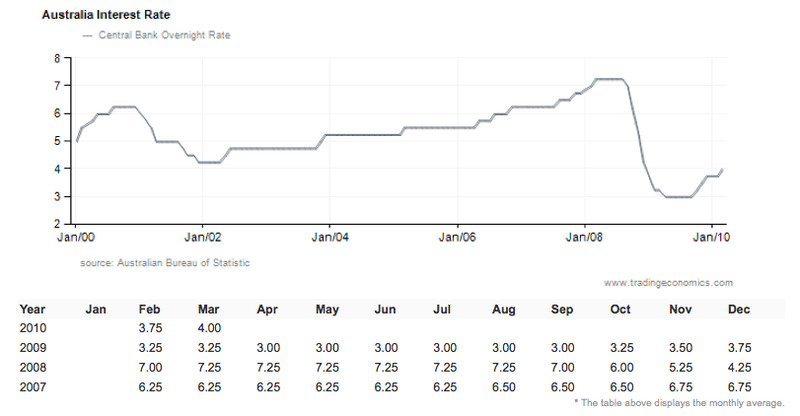 Australia hiked their key interest rate to 4%, continuing the nations monetary tightening cycle. This puts Australia well ahead of most of the developed world. Unemployment is so low right now that the nation is actually experiencing worker shortages in some industries. 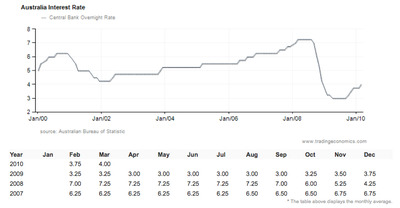 The Australian economy still has some soft spots, thus Australia is expected to tighten monetary policy slowly. The next hike could be in a few months.